Editor’s note: This is the second installment of a two-part series on setting professional priorities for the new year. Read part one: Setting New Year’s Goals? Even Little Changes Can Make a Big Difference. It’s easy to say and harder to do, but what do you really want from 2018 as an audiologist or speech-language pathologist? Are you trying to improve your sessions with students/clients? Are you trying to grow your business? Whatever your goals are for 2018, think about your top priority. What one goal do you really want to accomplish this year? If you know this primary goal, then you can more easily—and willingly—make time for the smaller tasks involved in reaching this goal. Email can wait, put talking about “Stranger Things” with your colleague on the back burner until Friday, and skip checking Facebook for the second or third time. As I reflect on professional and personal goals throughout the beginning of the year, I like to take stock of my professional spaces. I find an organized and accessible work space brings a sense of calm and order to sessions and improves my outlook on the day’s work. I think one of the most important things anyone can do improve their quality of life involves decluttering—in all areas—physically as well as virtually. 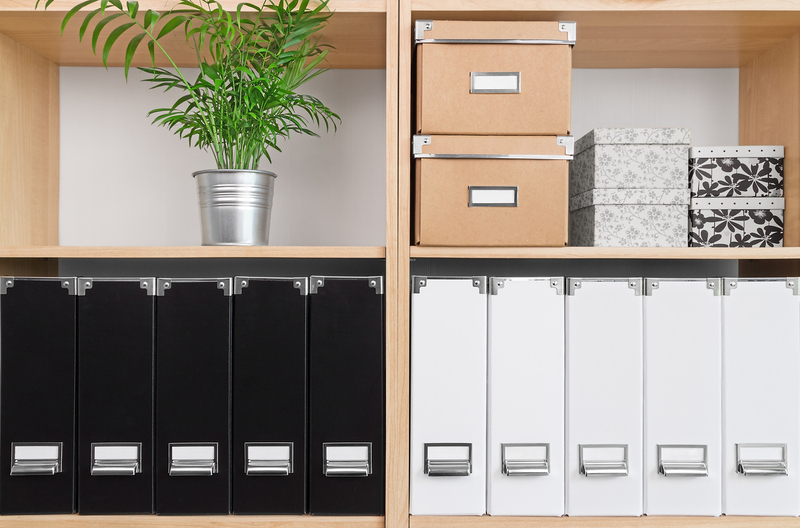 From your Google drive to your email inbox, your junk drawer at home to your office shelves or closet, the things we possess can catch up to us. A cluttered space often reflects a cluttered mind. I used to maintain three different cloud accounts for my files and writing. By reducing the number of places I store things—now just one personal and one work—I save time and frustration when trying to find a file I need to reference or share. I am further applying digital decluttering to email, text messages and my social media. What’s important to me? What do I use regularly and need access to? These important questions guide my decluttering. As I mentioned earlier, a key priority for me includes creating and keeping a tidy workspace. But I also think it’s important to think about our homes as well. In her book, “The Life-Changing Magic of Tidying Up,” author Marie Kondo talks about the Japanese method of KonMari to tidy up and declutter your home. Not all of the lessons apply in my life, but this one question definitely has: What things bring me joy? By applying that question to your work and home spaces, you might find some interesting answers. What do we hold on to “just in case”? What do we really need, and what brings us happiness to have around or to use? My old books bring me joy, but not my CDs, because now I exclusively use my iPod. Do I really need those eight large binders full of CDs? My photo albums bring me tremendous joy, but do I need all the pictures where no one looked at the camera? My textbooks might come in handy, but does every one of them bring me joy when I can find new information and research about my profession? While you and I might have different goals for 2018, we could all probably gain from more organized spaces—even though I know you know where everything is on your desk! We can all benefit from prioritizing the most important parts of our lives instead of the minutiae that get in our way daily. When you figure out your most important goal, keep it in the forefront of your mind. Then you can make a little bit of progress toward reaching it before the day gets away. Dan Fitch, MA, CCC-SLP, works in schools and private practice. He blogs at Everything is Language, consults for AAC companies and presents on incorporating technology into school classrooms. Follow him at @itsalllanguage. danrfitch@gmail.com. Crickets: Beautiful Sound or Terrible Noise?